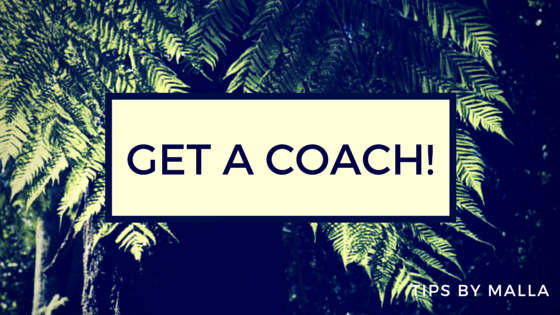 Why every entrepreneur needs an inner coach – So after having access to all of the cash your business will ever need (I know, right?! lol) and the next hottest product that makes the next Apple release look like yesterday’s Cabbage Patch Kids, you need the power of an inner coach. So after having access to all of the cash your business will ever need (I know, right?! lol) and the next hottest product that makes the next Apple release look like yesterday’s Cabbage Patch Kids, you need the power of an inner coach. An inner coach? It’s the internal voice that reminds you WHY your business was created and how much of an impact that you as an entrepreneur and your team will be able to make to your customers. It’s the story you tell yourself when things are going well and you can step back and cheer about the successes. And it’s the same story that you need to remind yourself when you hit the roadblocks and need some SERIOUS encouragement. And don’t pass it off just as some “mumbo jumbo encouragement hype”. Because your mental story as an entrepreneur IS your business. It’s one of the few areas that you have total control over in running your business. When you hit a rough patch and can’t brainstorm a solution if you tried, it’s the mindset shift that will get you moving forward. When you are moving off course from your goals and need to be accountable to your mission, it will that tough reminder to stay focused. When you’ve invested your heart and soul and things are not working, you need an impartial and objective viewpoint. Now this is not to say that you as the entrepreneur have all of the solutions. Anyone who has either worked with a coach or had a coaching practice themselves knows that this is not the goal of coaching. But it is to get you to shift your view point to the bigger picture. Let me give you a quick example that happened to me recently. I hit a SERIOUS roadbloack with three clients recently. In the course of 8 hours, they hit me with problems, problems, problems. And I don’t use the word problems. In the past, I would have dove straight in trying to solve everything immediately. But whether it’s my new meditation practice, the new focus I have for the New Year or just growth in general I’m experiencing, I decided to walk away for a few hours and listen to my own inner coach. And what did I do – start banging out one of my marketing projects. I felt totally revived and energized when I finished and decided to sleep on the “problems” the clients were tossing my way. Fast forward to the next morning – I had a few ideas for how to solve 2 of the problems and the energy to deal with the rest. And then I called a mentor to get some more ideas. Amazing how it worked. I spent so little time on the small stuff AND even got some of my marketing project- gooooo email newsletter template! – completed. And it reminded me that we need to step away and really listen and trust our inner coach. It can be a powerful tool in an entrepreneur’s toolkit. So tell me what advice has your inner coach given you?